Below you can view all the homes for sale in the Forest Hills subdivision located in Smyrna Georgia. Listings in Forest Hills are updated daily from data we receive from the Atlanta multiple listing service. 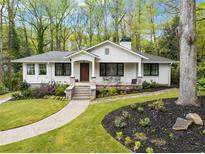 To learn more about any of these homes or to receive custom notifications when a new property is listed for sale in Forest Hills, give us a call at 404-998-4102. Outdoor Entertaining Area W/Fire Pit & Storage Shed.The List Goes On And On, Close To Suntrust Park, Hgtv Ready! MLS#6539942. Keller Williams Realty Intown Atl. Short Drive To Suntrust Park & I-285/75. Best Location In Smyrna! MLS#6536141. Keller Williams Realty Cityside. It Is One Of A Kind! MLS#6534412. Atlanta Communities. Buyer Get To Choose Paint Or Stain Color For The Kitchen Island. MLS#6534922. Simply List. Oversized Garage With Workbench And An Unfinished Basement To Make Your Own. MLS#6532702. Simply List. Close To Atlanta Battery, Smyrna Village, Jonquil Plaza, Belmont Hills, And I75 And I285. Great Schools And Fantastic Community MLS#6528900. Keller Williams Realty Cityside. Incredible Location Near I285/75, Suntrust Park & Smyrna Market Village! MLS#6528834. Keller Williams Realty Cityside. Only Minutes To I285/75, Suntrust Park And Shops & Dining In Vinings! MLS#6528001. Keller Williams Realty Cityside. Hardwood Floors And Plantation Shutters Throughout, Double Carport, And A Fantastic Location In A Popular Smyrna Neighborhood. Definitely A Must See! MLS#6526280. Berkshire Hathaway Homeservices Georgia Properties. This Is Truly A One Of A Kind Home, Lot And Location! MLS#6522647. Atlanta Fine Homes Sothebys International. Private Backyard W/ Beautifully Appointed & Open Living Space. MLS#6518591. Ansley Atlanta Real Estate-Atlanta North. Easy Access To I-75, I-285, Suntrust Park & Vinings. 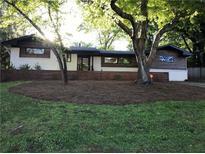 MLS#6517698. Atlanta Fine Homes Sothebys International. Deck Overlooks Private Landscaped Garden Back Yard. Can't Beat The Location! MLS#6517721. Dorsey Alston Realtors. Hurry To Make Your Custom Selections! MLS#6513083. Berkshire Hathaway Homeservices Georgia Properties. Minutes To Suntrust Park, Smyrna Market Village & Highways. Welcome Home! MLS#6513305. Keller Williams Realty Cityside. What A Find And In Forest Hills! MLS#6512625. Harry Norman Realtors. Close To The Battery, This Beauty Won'T Last! MLS#6513015. Re/Max Pure. Awesome Master Suite W/ Balcony, Luxurious Bath, Double Shower Heads And Double Vanity. MLS#6509912. Platinum Real Estate, Llc..
Charming Home Is Ready To Be Yours! MLS#6506792. Re/Max Unlimited. Attentive To Every Detail. Walk To Parks, Shops & More MLS#6505907. Keller Williams Rlty-Ptree Rd. 4 Large Bedrooms And An Unfinished Basement For Use Of Your Choosing. MLS#6502338. Keller Williams Realty Cityside. Room For Pool And Easy Access To Downtown, I-85, I-285, And Smyrna Market Village. MLS#6118031. Ansley Atlanta Real Estate-Atlanta North. Near Parks, Restaurants, & Major Roads. Completion-Summer 2019. MLS#6083072. Keller Williams Rlty-Ptree Rd. 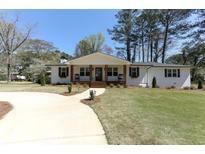 Close To Parks, Smyrna Market Village, & Major Roads. MLS#6083068. Keller Williams Rlty-Ptree Rd. Easy Access To I-285/75, Close To Smyrna Market Village And Nearby Parks. MLS#6077551. Atlanta Fine Homes Sothebys International.